Join us Sunday morning at 11am for our worship service, as Pastor Thelma brings her second message of the preaching series Seven Letters. 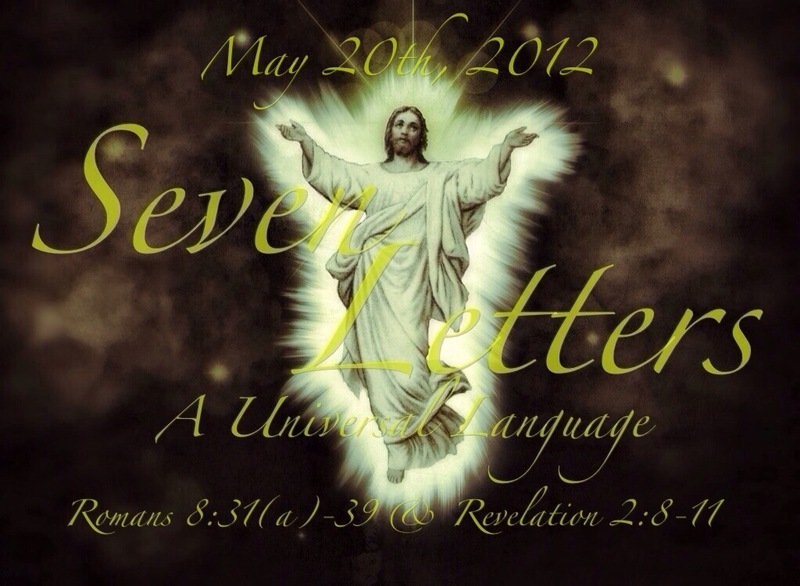 This week’s message coming from Romans 8:31(a)-39 and Revelation 2:8-11, titled A Universal Language. An encouragement to remain faithful to our Lord Jesus, and not be afraid for God is in control.